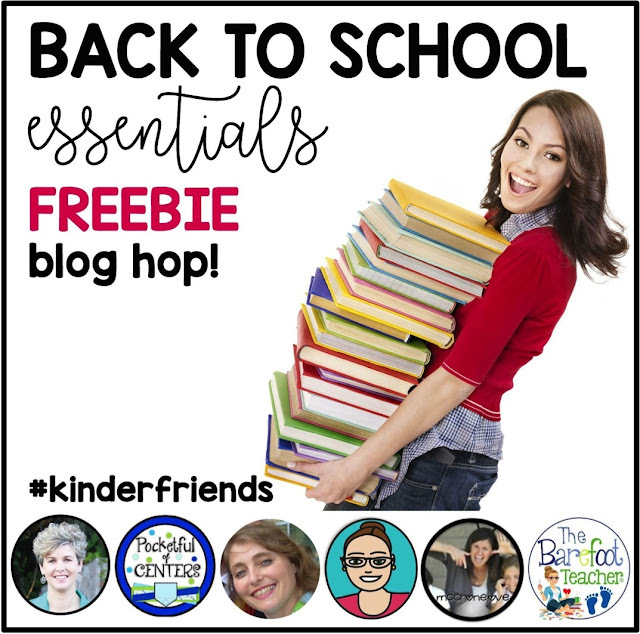 I'm so excited to be joining up with the Kinderfriends group to give you some Back to School FREEBIES! As teachers, we set goals for so many things. So why not make some specifically for back-to-school days? These goals will look different for everyone. Take a few moments and think about what you would really like to accomplish most with your students the first two days of school. Jot them down real quick so you don't forget. Now think of some goals you'd like to accomplish for yourself. Maybe you want to collaborate more with teammates. Or pack your lunch every day so your not running out (or starving) on break. 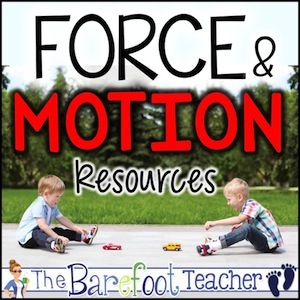 Some other ideas might be to compliment students a certain amount of times for the day, or spend some time getting to better know a student (or even fellow teacher). Or how about spending just 2 minutes in complete silence with your eyes closed on a break, just to give yourself a chance to re-gather your thoughts and energy. Meeting goals, no matter how small they might be, will make you feel successful and...HAPPY! So write them down and check them off as you complete them. Remember to make a variety of goals that range from small to large. 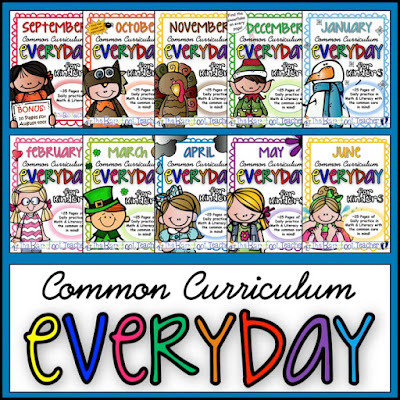 If you're looking to start the school year out smoothly, I highly recommend using Common Curriculum Everyday. 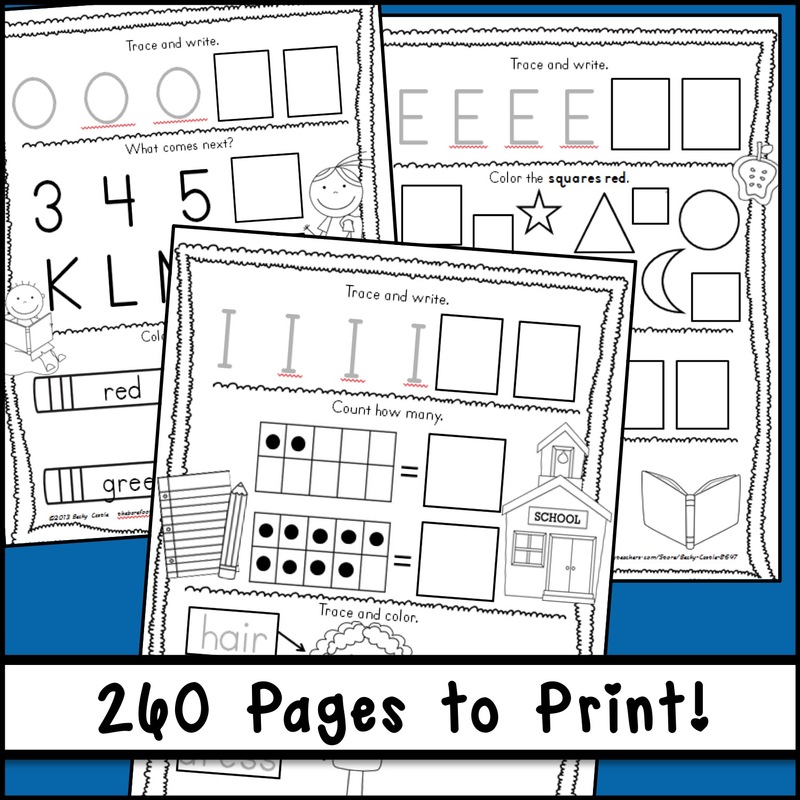 I show you what it looks like and then give you some FREE DOWNLOADS you can print and use with your students. WOO-HOO! 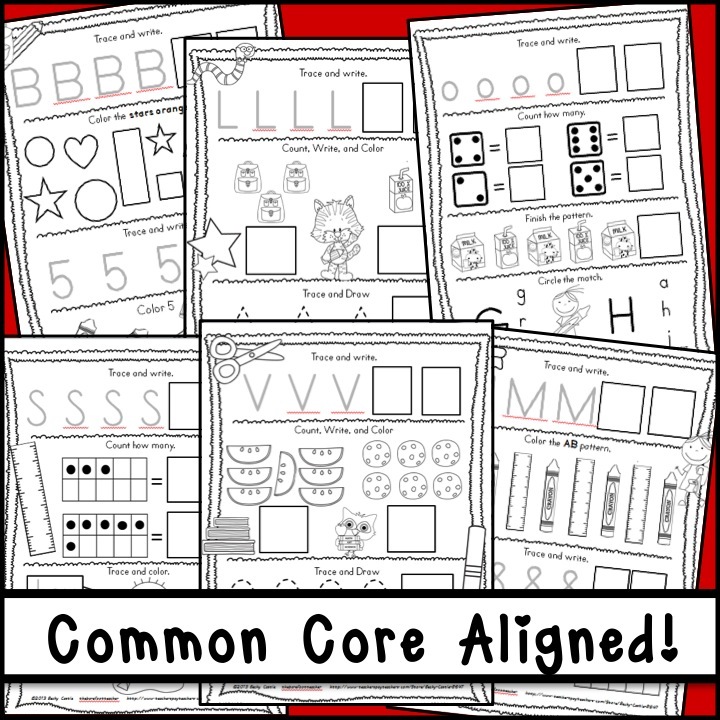 I first created Common Curriculum Everyday shortly after the Common Core standards came out. 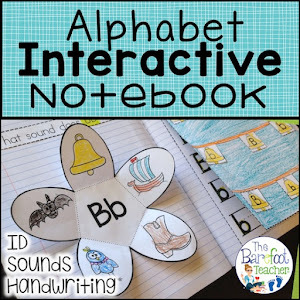 I needed something to use with my Kinders that included short little snippets of independent daily review that were designed around mastering the new-at-the-time LA & Math Common Core standards. I didn't want to have to dig around searching for and compiling random resources to use as review. Nor did I want to keep track of so many different resources. 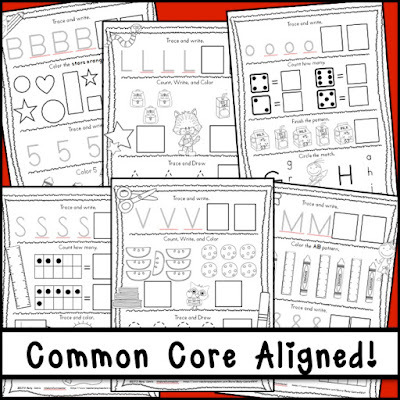 So I laid all the Common Core LA & Math standards out and made a plan, making sure to incorporate as many of the standards as I could (plus a few extra concepts as well). I spread it out over the span of 10 months, combining a few August weeks into the September pack since school around here usually begins the middle of August. 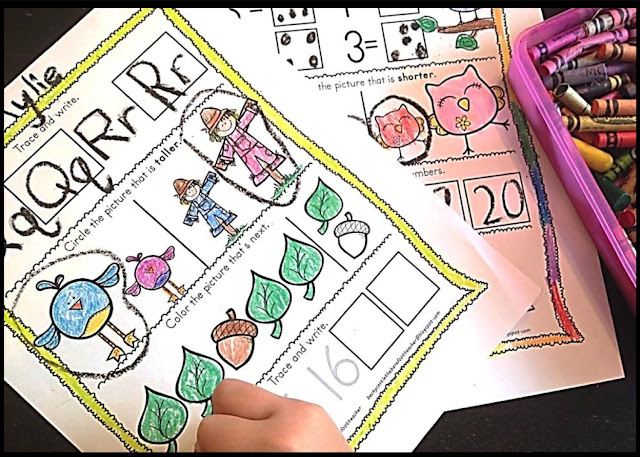 The activity sheets that come in each months pack involve math, literacy, and handwriting skills. 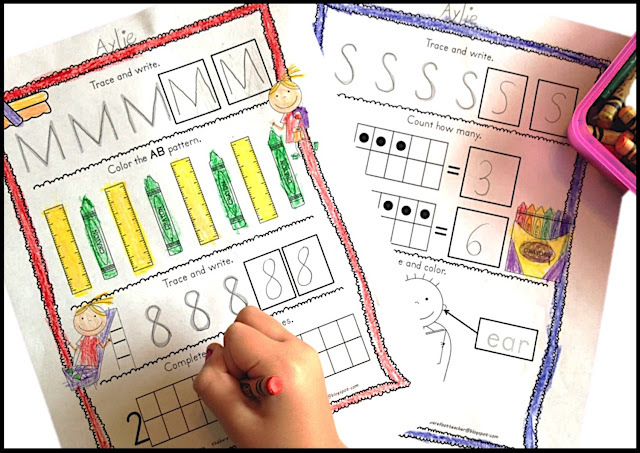 They were made (with the Common Core standards in mind) to be used as independent practice sheets for students to do as morning work, homework, at a center, or for use in any other way you might see fit. Common Curriculum Everyday provides repeat exposure to the Kindergarten LA & Math standards, allowing students to successfully master the standards. The skills and Common Core standards that are covered in each month are written out in each pack so that you can look over each month ahead of time. 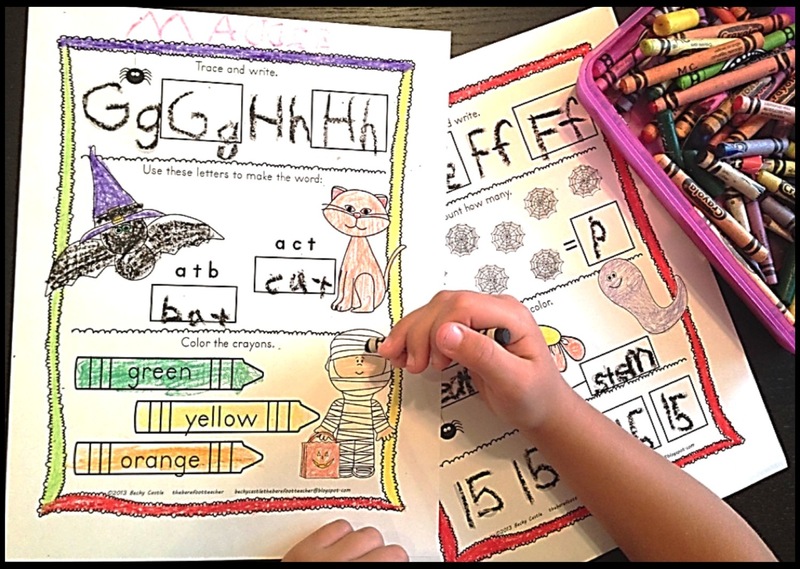 The handwriting skills grow with students, starting off with basic letter tracing, moving to writing words, and then moving again to writing sentences later on in the year. 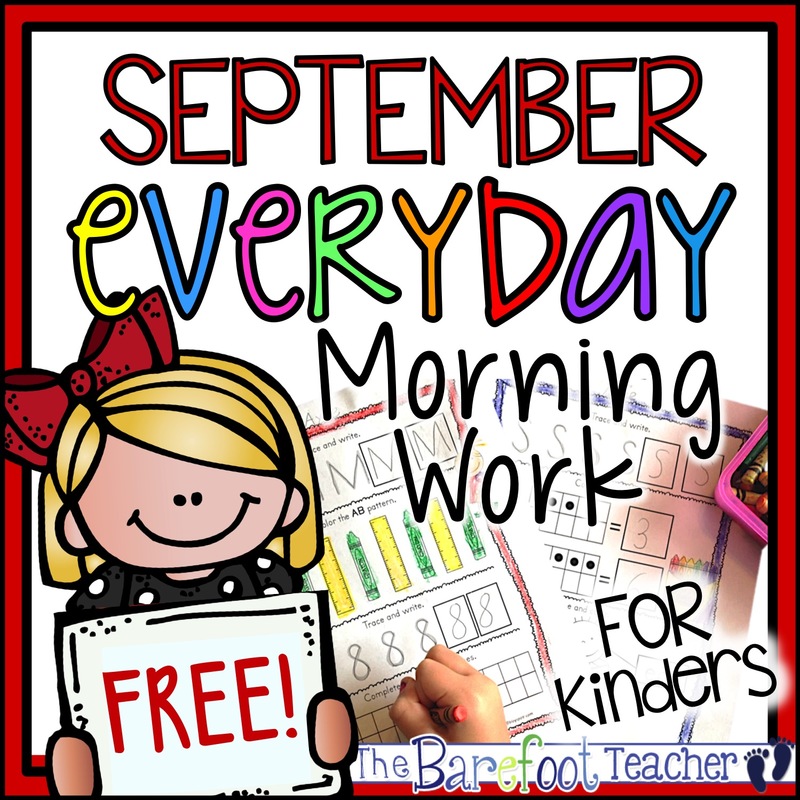 Each month includes 25 pages to print. The September pack includes an additional 10 pages to use for end of August. 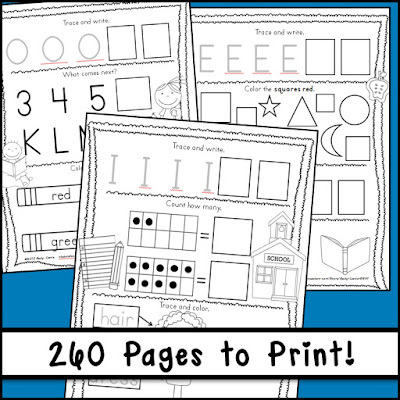 The entire 10-month set includes 260 pages to print. The pages of every pack are set up in 5 different layouts (one for each week of the month) so that students can be guided by you on what to do the first day of each week and then be able to continue on their own for the remaining days. The layouts are similar, so many students will pick up on what to do after awhile without any guidance at all. This next example pictures has a mistake...did you notice what she did wrong? These daily pages are a great way to do informal assessments as you're walking around the room! 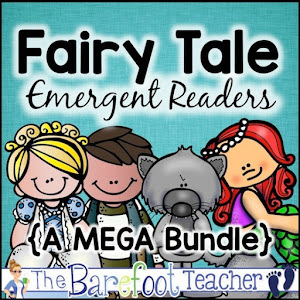 Here are TWO FREE DOWNLOADS that will give you an opportunity to try these for yourself! 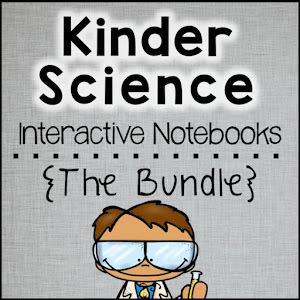 I especially love this pack because students have to search for the spider each day on the page. You can have them circle it when they find it! Did you find it? I like using these first thing in the morning as seat work. It give me a chance to take care of all my morning duties, while giving the kids a chance to have meaningful practice time of the concepts we've been covering. Now head on over to Mrs. Byrd's Learning Tree for more Back to School FREEBIES! I love your idea about setting some personal goals for ourselves. 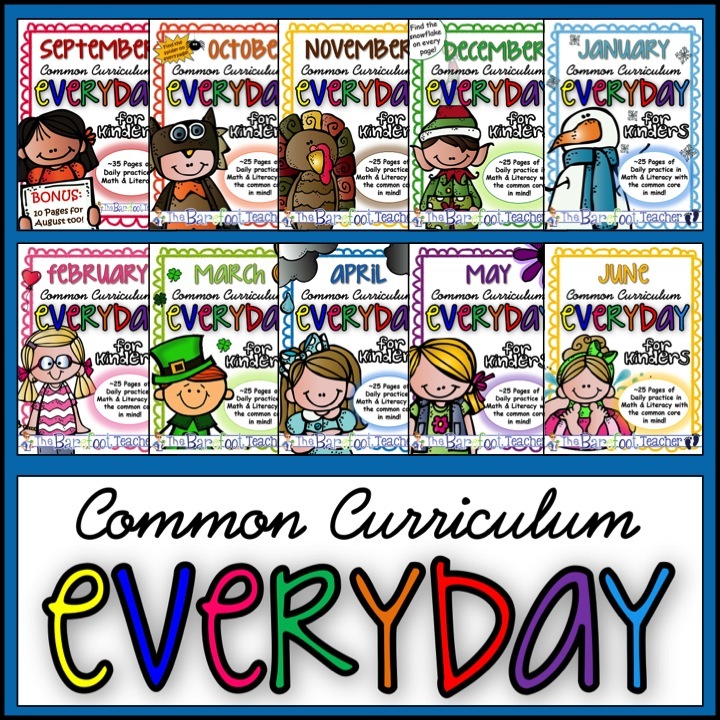 Wow, that everyday curriculum looks great! Thanks for the free downloads. You are right . 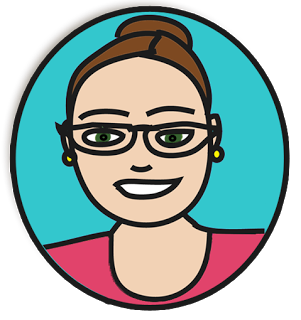 . . goals are so important even for teachers! Thanks for the reminder to put that into action! LOVE the freebies, too! Thanks so much!